Apartments for Sale in Fethiye Turkey by PLACE OVERSEAS are suitable for those looking for a family holiday home, permanent home or a buy-to-let opportunity. On the whole, prices are rising here by around 8-10% annually, and rental opportunities are excellent thanks to the increasing numbers of holidaymakers favouring self catering holidays. Most Fethiye apartment complexes have a pool and 24-hour security. Some even offer superb hotel-style facilities. If you crave sunshine and sandy shores, head to Calis, where you’ll find resale and new build apartments that cater to those who want easy access to the beach and promenade. Calis apartments are close to amenities and shops, and you can find some fantastic complexes offering excellent facilities for the whole family. Rental here is particularly favourable thanks to the proximity to the beach. Prices begin at around £45,000 for a 2 bedroom apartment. Karagozler, by Fethiye Marina, offers genteel luxury with its sea view penthouses and apartments. These tend to be pricier than the rest of the region, with prices starting at around £100,000 for a 2 bedroom apartment. 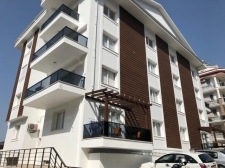 Up on the hill, Ovacik and Hisaronu apartments represent great value – and an even greater rental opportunity as they are within a stone’s throw of Oludeniz Beach. They also offer mountain views and there are good facilities and shops nearby. Prices here begin at around £50,000 for a 2 bedroom apartment. 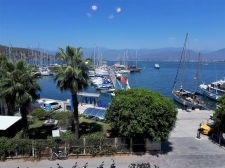 Fethiye town centre offers excellent value for those who like urban living in a more built up area. Here you’ll be surrounded by restaurants, shops and markets. Prices start at around £55,000 for a 2 bedroom apartment. Slightly along the coast, the well-heeled town of Gocek is a favourite haunt of yachties and those seeking exclusivity and luxury. The apartments here are built to the highest spec – and the prices reflect this with 3 bedroom apartments starting at around £15,000.